This week, Honor launched the $400 high-end Honor 10 smartphone, featuring the Kirin 970, a 5.84-inch 19:9 display, dual rear cameras, and enhanced AI capabilities. As part of the launch, we sat down with George Zhao, President of Honor, as part of a group interview. 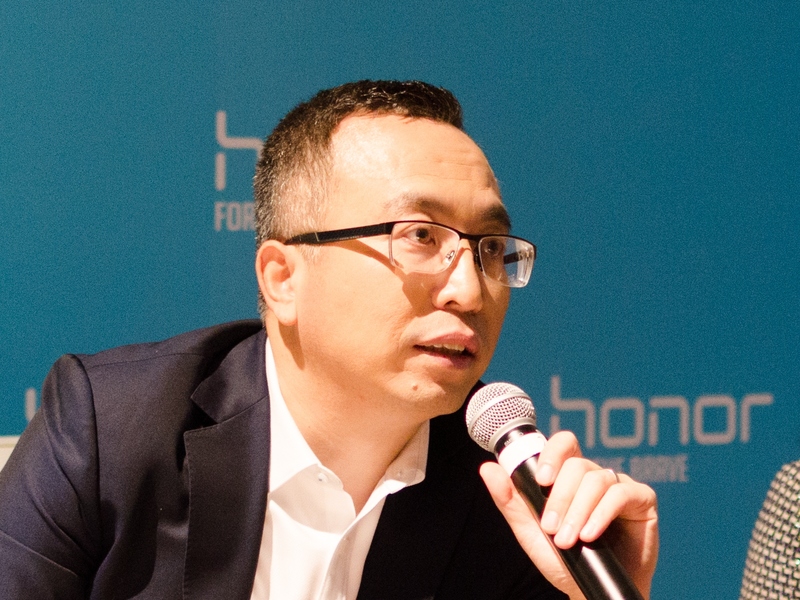 For some perspective – at CES 2017, Honor launched the the $250 mid-range Honor 6X and George Zhao held a group interview with the press at the time. Because people were still getting used to the brand, many questions revolved around the relationship with Huawei, if Honor was staying at the $250-range of devices, or how Honor operates. Today, it is clear the attitude of Honor is very different. 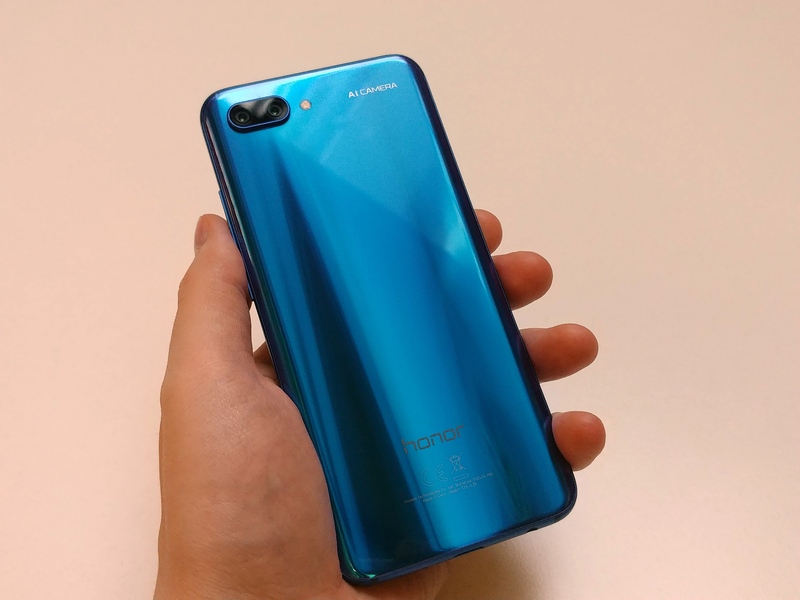 Within the presentation of the new device, and in the group interview, it was made clear that Honor is expanding into markets with huge potential for growth, and they intend to do it on a wafer thin budget. Mr Zhao repeatedly stated the goal to be the 5th biggest smartphone manufacturer in three years, and how their approach as an ‘online-only brand’ with a dedicated fan base of the young and millennials has been successful over and over again. The perception I got from Mr Zhao was one of confidence. It feels like he knows the Honor products will sell very well, and he feels that the products cater to the intended market with deadly accuracy. With most companies like Honor in this position, there is often an aura of cautious optimism, with the emphasis on the cautious: we have seen it with brands like Xiaomi for example. However the focus very much this time was on the optimism, build from a solid product and confidence in the team behind the leadership. Many thanks to Honor for this interview opportunity. Or rather, thanks to the person on the door through which I managed to talk my way in. 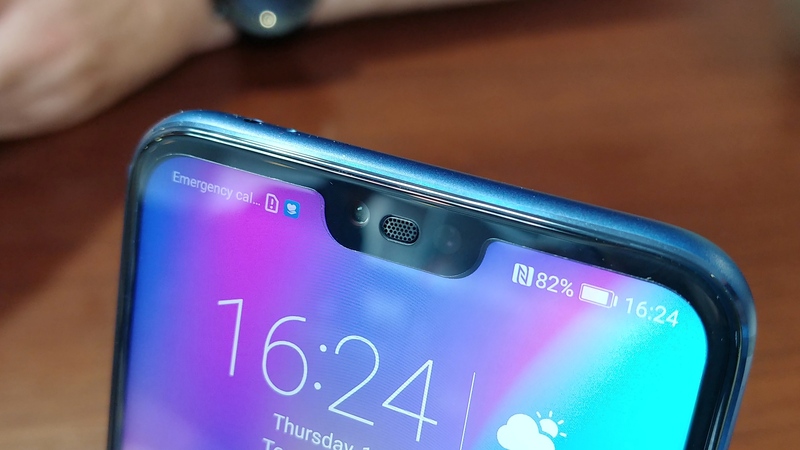 Honor’s local UK PR agency made no effort to invite the UK press to any group interviews, as was clear by the distinct lack of UK press in the room, nor was effort made to pre-brief us on any of the Honor 10 capabilities before launch. The Q&A is expanded from notes, rather than transcribed verbatim. Questions are from a mix of different media outlets. Q: Can you give us a breakdown of the sales figures for Honor comparing China unit sales with the overseas sales? A: In 2017 Honor sold about 85% of its units in China, with 15% overseas. Our aim for 2018 is to make that ratio to 50:50. Given our Q1 results, we feel we are on the way to reach that target. Q: Can you mention the total number of unit sales? The last official figure we have from Honor was 40m per year, but there has been no recent update on this. A: Last year we made a big decision internally that we will not release our own number for total unit sales. We encourage the press to reach out to third party sources. The reason we are doing this is that we noticed when we publish internal numbers, our competitors and even media will use different third party numbers anyway, which adds to the confusion. Honor kicked off its new global strategy at the end of last year, and the first quarter growth shows we are doing this well. The second quarter in 2018 should be much better. This year we consider the main competitor to Honor is ourselves. So we need to speed up and build on our regional and local organization to grow. In the UK we have two Honor teams, but we have more than 0% growth. In France we grew 500%. Honor is a very efficient organization with a good model – our customers enjoy the brand and become Honor ambassadors. This is the Honor model. In our mindset we want to make our brand easy to remember and build our brand in the young segment. If you talk about other brands, which products from that brand can you remember? This is the difference. In China, in just over 4 years, we are the biggest e-brand. In the future, the Honor strategy is to compete in the global market. Q: So far Honor has launched the Honor Magic smartphone in China. Is there any plan to launch the Honor Magic in India or elsewhere? A: Our Honor Magic was an industry first smartphone, using what we call the Magic AI system. For us, we used the Magic with the AI to verify the ecosystem and learn how to collaborate with companies and help design apps for the cloud, which is important in China. We now have AI smartphones elsewhere in the world – the Honor View 10 we launched in India, and the Honor 10 is coming to India. Q: What can you say about the Honor MagicBook? It is the first Honor laptop, but also limited to China so far. A: On top of our smartphone sales we also have the Honor Band, the Honor Watch, the Honor table, and now we have the Honor Laptop, the MagicBook. In April we launched the laptop in China. We looked into the laptop market and found that the laptop industry has no innovation. It is a market that is very slow to innovate. With our MagicBook, when we first launched in China, we sold 11000 units, which is a record in the Chinese market. Honor as a company focuses on efficiency, because we need resources in the global market. They are relatively limited now, so today it is focused on smartphones. Over time we introduce accessories, then the Honor Band, then tablets, then the laptop. When we build out our products and our resources, then we may bring more product overseas. Q: Can you share unit sales in India? A: Last year we codified our strategy for the Indian market. In three years we want to be the number one smartphone brand in India. So far this year even, we have seen more than 0% growth in the first quarter. That is 0% growth quarter-on-quarter, not year-on-year. Q: Can you share Honor 9 Lite numbers in India? A: Two days ago we started a big promotion for the Honor 9 Lite in India. I do not know the exact numbers, but I think that maybe we have sold more than 70000 units already. Q: How will Honor localize its AI efforts, especially in diverse countries like India? A: For the AI, we have already sent teams to work in India to focus on the diverse market. We call these our AI development teams. We are already talking a lot with local companies about their sales platforms, about web browser integration, and to music companies to collaborate. It is a step by step effort to work with potential partners, and in each region we need these elements to enable local collaboration. We want to open up the NPU to third party developers as well, so other users can enable their local region. Q: Does Honor have any plans to develop a smaller smartphone, such as a 4.7-inch device? A: For the Full-View display, it is actually difficult to make for smartphones that are 5.2-inch or below. At the moment, with the Honor 10, we have a device that feels like a 5.2-inch phone but has a 5.84-inch screen. This size is the target for our Honor products. If you take the Honor View 10, for that product we use a 5.99-inch display in a 5.5-inch type design. For our digital line (the Honor 8/9/10), we will keep this 5.2-inch operation. Q: Can you give any information about the AI Assistants supported on Honor 10? A: We currently collaborate closely with Google Assistant. We also cooperate with Microsoft to enable offline translation using AI. The Honor 10 can now translate by itself. We use Microsoft Translator a lot when we travel to countries with different languages! For other AI assistants outside China, we are happy to work with them. Q: In the presentation, you stated that Honor’s five-year goal is to be in the top 3 smartphone sales worldwide. If the top 3 are currently Samsung, Apple, and Huawei, with Huawei being your partner, which one of Samsung or Apple will not be in the top 3? A: Our five year target is long goal! I think the main goal is in three years we want to be top five worldwide. In 2017 we were already in the top 7 in global sales. This year, our overseas markets will grow 0% or more, so we will already be better. So we think our three-year target to be in the top 5 is very easy. For example, our Latin America market share for Honor is zero – our AAfrica market share is 0. So for Honor we have a huge space to grow our business step our step. We focus on us, rather than focus on other companies. We will grow. Q: Can you describe the current dual-brand strategy between Huawei and Honor? Will Honor and Huawei merge at some point? A: The dual brand strategy is a group level strategy built for the long term. The strategy comes from China. In the Chinese market four years ago, Huawei had a big market share. Now in the Chinese market, both Huawei and Honor are very successful. Our market share combined is number one. In the international markets we also make trials with Huawei and Honor in some countries like India and Russia. After our China market became so successful, and with other trials, it verified our business model and brand, so we think it can also succeed in new markets, and we can succeed as a group. Huawei and Honor are independently operated brands. We talk about having separate contacts for retail and talk to customers independently. For example, in Russia, we just entered 5000 new shops, but Huawei is already in those shops. This is Honor's way. In each part of our strategy we consider how to make the things more efficient to cover cost. We also use our product to talk to the end user. We say when you ‘talk’ about Honor, what is in your mind? We have the Honor flagship, the Honor 9 Lite – this is good design and good quality. We have been very successful in building this image. When we build the local organization, it will improve our market. Q: What is Honor’s current strategy in the US? Do the issue with Huawei affect Honor? A: We currently sell the Honor View 10 and 7X in the US. For the other issues we are not going to comment. Q: It is clear that Honor is targeting a young audience. Could you quantify how successful this strategy will be? A: If we take an example – for the Honor 7 in the UK, we collaborated with 3 (network provider) for the launch, and in every year since that we have launched the Honor flagship in UK we have seen good growth. For Honor 10 we think growth will be double over Honor 9. The Honor 10 pre-orders are already double globally compared to Honor 9. Q: Does the Honor 10 support Treble, and will Honor look at Android One? A: We have good communications and relationships with Google, but for the flagship we will not use Android One. Maybe in the future, but not today. We also consider project Treble. 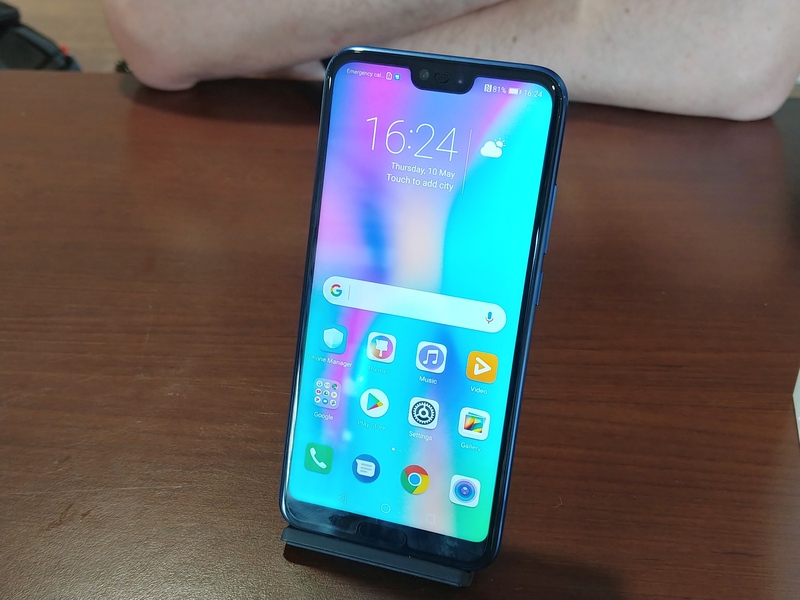 Q: There have been reports that Huawei is working on an operating system other than Android to use in case US bans the export of Android licences for use in Huawei handsets. Since you share R&D with Huawei, do you have plans to co-develop this new OS? A: We cannot make a comment on this. Today with Google we have a good relationship and they give us the best levels of support. We get updates on time for Android. Q: Will Honor 10 be open source? A: For this kind of thing, we still have no plan. Internally we have studied the open-source strategy a lot, but because most of the Honor customers do not have this kind of knowledge, we think our solution is better. We find that it might open a lot of potential issues from our end customer, but we keep discussing internally about this topic. Q: In China we see rip-offs to Honor designs. What is your opinion/action? A: When we designed the Honor 8, within a few months we saw a lot of designs that copied us. In fact Honor patented the technology behind some of the design features of the Honor 8. We cannot stop third parties from copying our design, so we will innovate every year beyond them. We do not want to waste time in focusing on other people – today we focus on Honor growth, so we do not worry about this.